So you know how I’ve mentioned in the past that we have these cool friends who know Santa personally? He knows them so well, he comes to their house! And this weekend was the weekend that all happened. And you know who loved it? 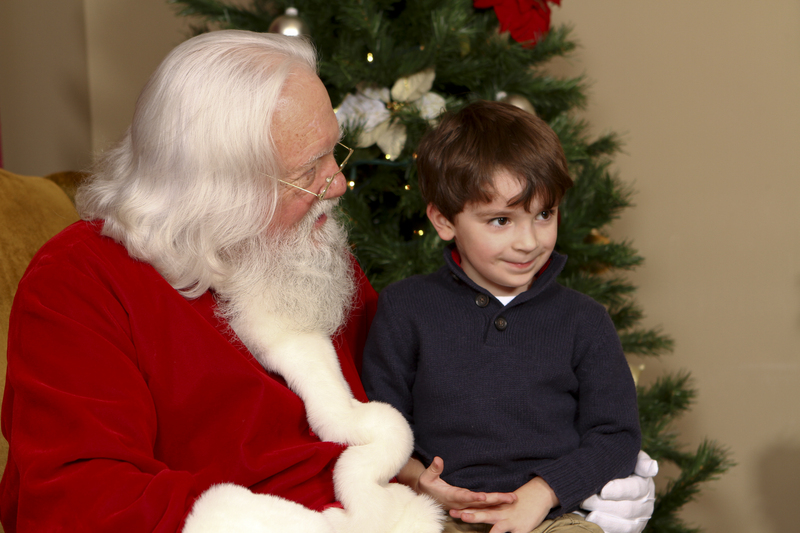 And you know who got their picture taken with Santa? 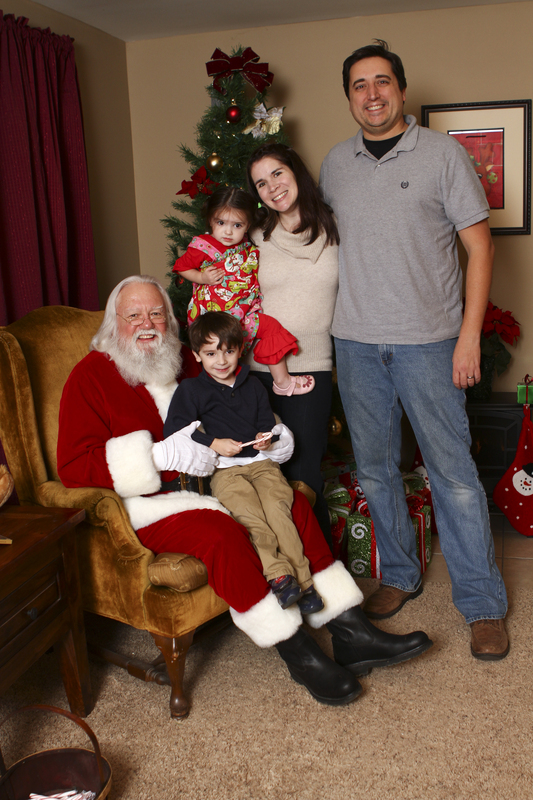 So…my friends knew that I was nervous about Alice’s reaction, so we thought if we had the kids look at a book and Santa walk in behind them, it would be a cute picture before Alice even knew he was there. 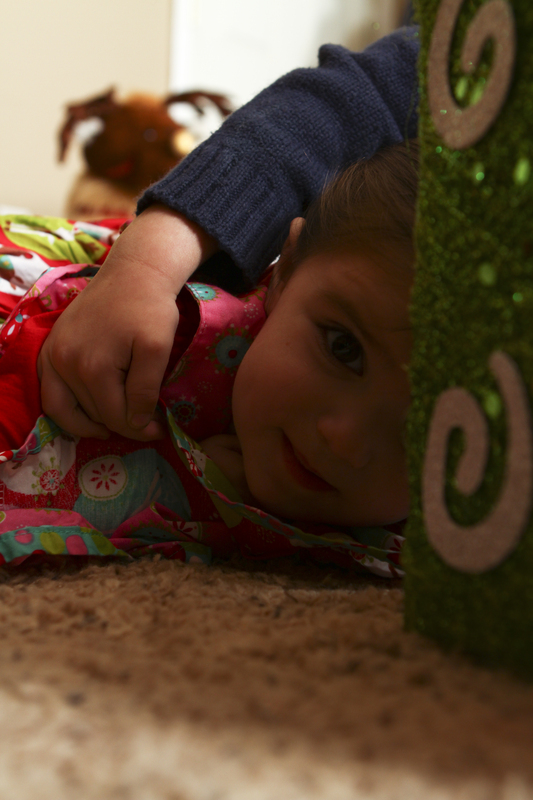 Except Alice was on to us somehow and just…you know, kept waiting for Santa to sneak up behind her. What the Alice?! Here Alice is hiding behind the decorations. On the floor. 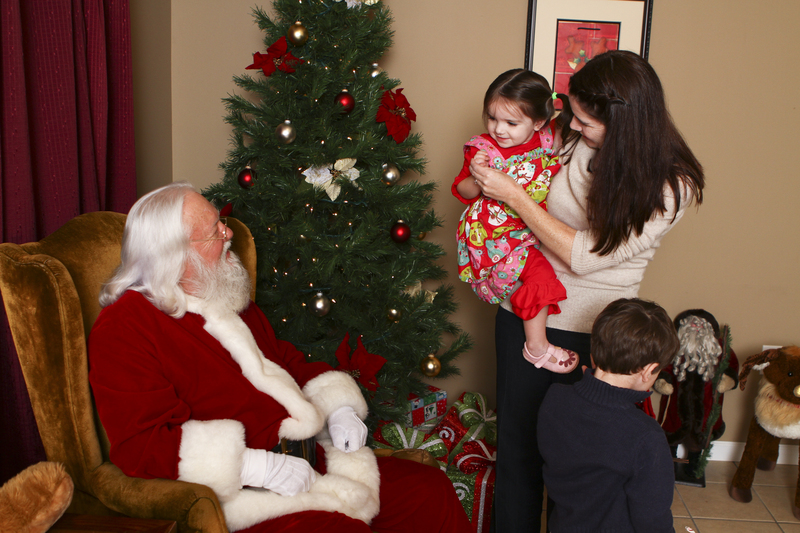 Where absolutely no picture could be taken at all — except Tony figured it out somehow so…here’s Alice’s Santa photo! Ha ha! Oh my goodness, my Tom. My Tom who likes Christmas movies okay, but who insists on watching his Halloween movie EVERY day. That boy and his Halloween love. So I tried a few times to see if Alice would sit with Santa — but she would say “NO!” pretty loudly and then bury herself into me. That coupled with her flinging herself flat onto the floor behind the decor all led me to believe that she, in fact, did *not* want to sit with Santa. (I catch on quick.) So we all posed to just get *a* shot of Alice with Santa. But she really wasn’t pleased with that either. But you know what she was pleased about? 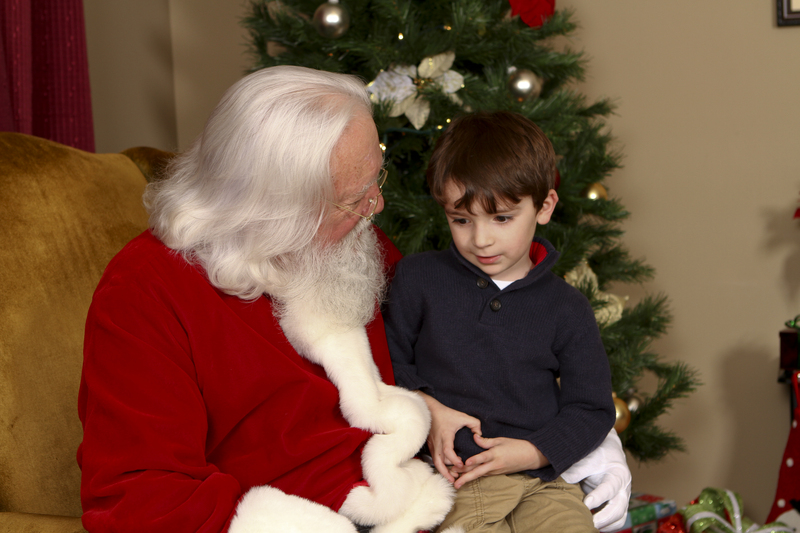 Saying “goodbye” to Santa. She loved that! Ha! It was perfectly wonderful in every way. I love the Santa pictures. No matter what happens, I always love the end result. It was a very fun day and I’m so very thankful to my friends for including us once again! This entry was posted in Alice, Holidays, Kevin, Motherhood, Tom. Bookmark the permalink.